Jeff re-joined FGE from JP Morgan where he was Executive Director, Global Commodities Research/Strategy, working closely with clients globally. He was a regularly featured speaker at JP Morgan events and published widely on energy markets. Aside from his previous management roles with FGE, Jeff also served as Senior Oil Analyst at the International Energy Agency in Paris, where he was co-author of the monthly Oil Market Report. During this time, he developed the IEA’s short- to mid-term oil demand forecasting framework and led research examining oil/gas interfuel substitution. Before the IEA, he was a Research Fellow at the East-West Center in Honolulu where his primary emphasis was LNG Markets East of Suez. Jeff has a Ph.D. in Economics. Dr. Brown is the author of many articles in industry, economic, and policy journals and widely cited as an energy expert, including interviews with The Wall Street Journal and the New York Times and appearances on news channels such as CNBC and Bloomberg. He delivers numerous speeches and conducts specialized briefings around the world each year. He also regularly leads commercial advisory services and projects focusing on downstream oil and LNG. Mehdi holds Masters in Economics and Business Administration from Paris and Oxford University. He started his career with KPMG in the first half of the nineties where he got acquainted with the rigour of economic analysis and the art of interpreting accounts. He then joined Shell in London at the turn of the century and focused on Gas and LNG business development in Levant before moving to Egypt to grow Shell’s CNG and LDC footprint. In 2004 he was appointed as the Shell shareholder representative in Oman LNG out of the Dubai office and in 2008 was appointed as the general manager of LNG Supply and Trading business for the Middle East, North Africa and South Asia. In December 2010, Mehdi was appointed GM LNG Origination and Business Development for the West Region covering the Middle East, South Asia, Europe, Africa and South America and in October 2016, Mehdi moved to Singapore as the GM for the East of Suez region. and short-term trading. He has run LNG courses in Europe, Asia, the Middle East and the Americas. 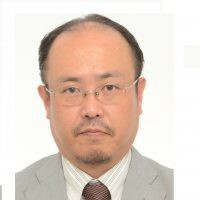 He is the author of many articles in journals and chapters in books on LNG and natural gas.